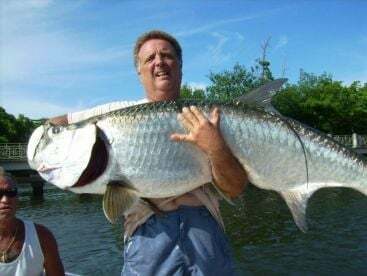 If you’ve heard of heard about Tarpon fishing and would like to know what all the fuss is about, then look no further than Backwater Tarpon Fishing Charters. Owned and operated by Captain Felix Cuadrado, they are your resident experts when it comes to tackling the Silver King in his own backyard. You’ll be fishing on a 19’ Bay Craft skiff that is powered by a single 115 HP Mercury four-stroke engine. 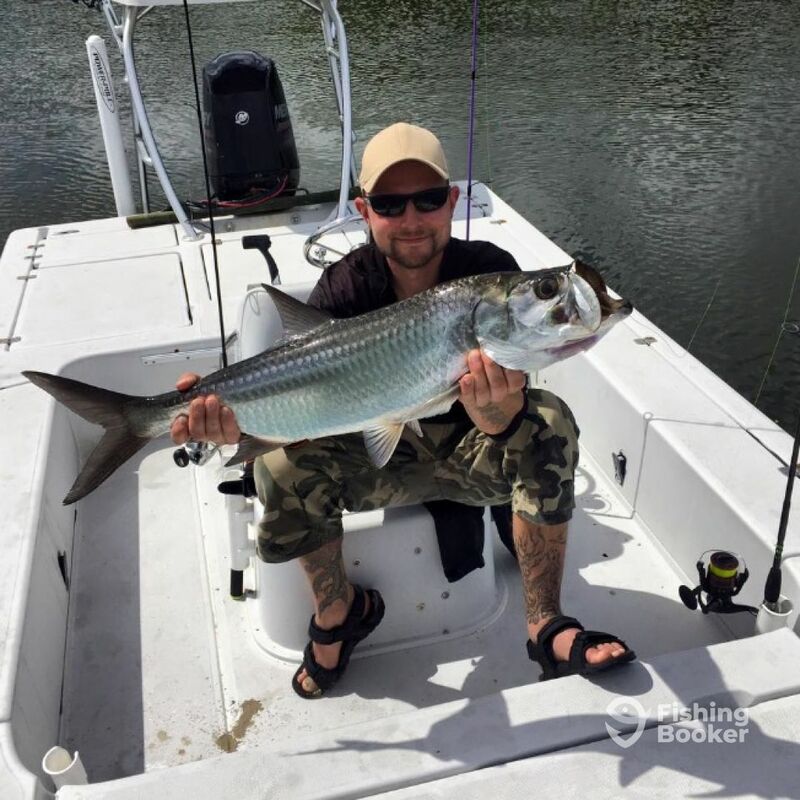 Skiffs are the perfect vessel for Tarpon fishing as the flat deck gives you enough freedom to walk effortlessly around the boat while minimizing the risk of falling and/or getting the line tangled. This vast lagoon is perfectly suited for marine life, providing infinite sources of bait all year round for the resident fish. 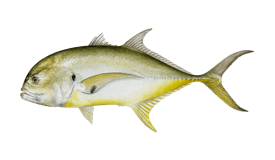 Targeting the Silver King will be your main priority, but there are other fish around as well. 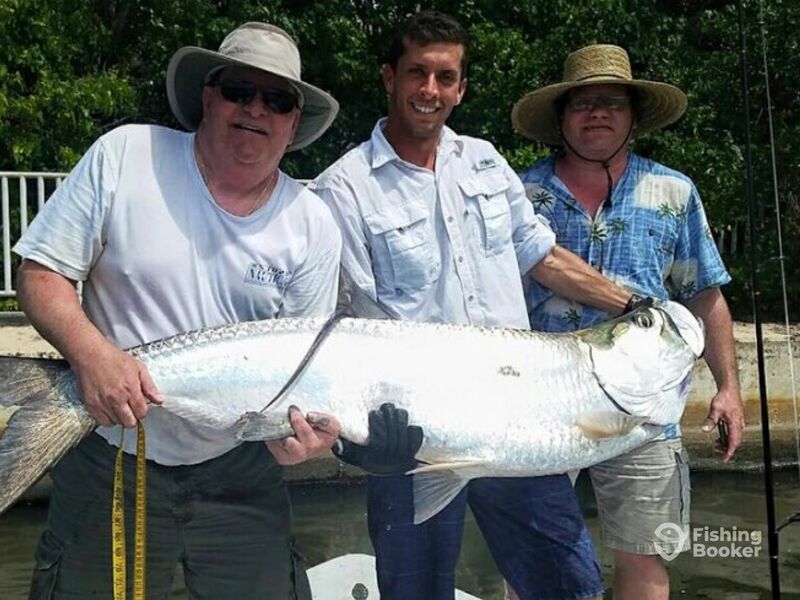 The local Tarpon population can range anywhere from 20 lbs all the way up to 150 lbs. 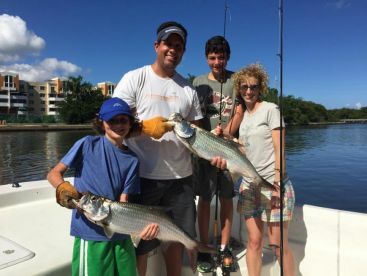 Captain Felix will provide you with all the necessary rods, reels, and terminal tackle you’ll need for a fun time on the water. All you need to bring is a pair of polarized sunglasses, some sunscreen, and a go-getter attitude. Once you’ve danced with the Silver King, you’ll be hooked for life. This trip is for you if you're interested in making the absolute best of your day on the water. 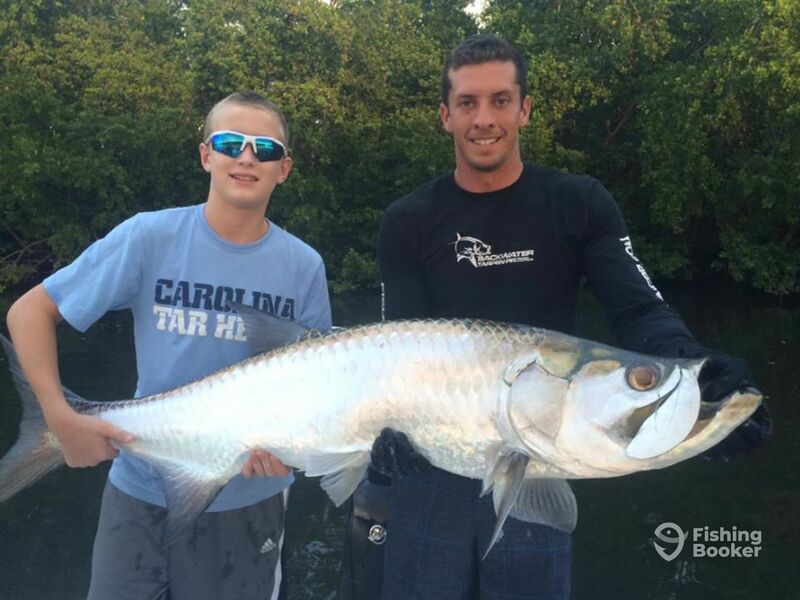 You'll have plenty of time to look for the biggest Tarpon around, and you're likely to run into other fish as well. The perfect middle ground between longer and shorter trips, the 6-hour trip gives you that extra edge you need for the best results. The Silver King is your main target, but you might see other species too. 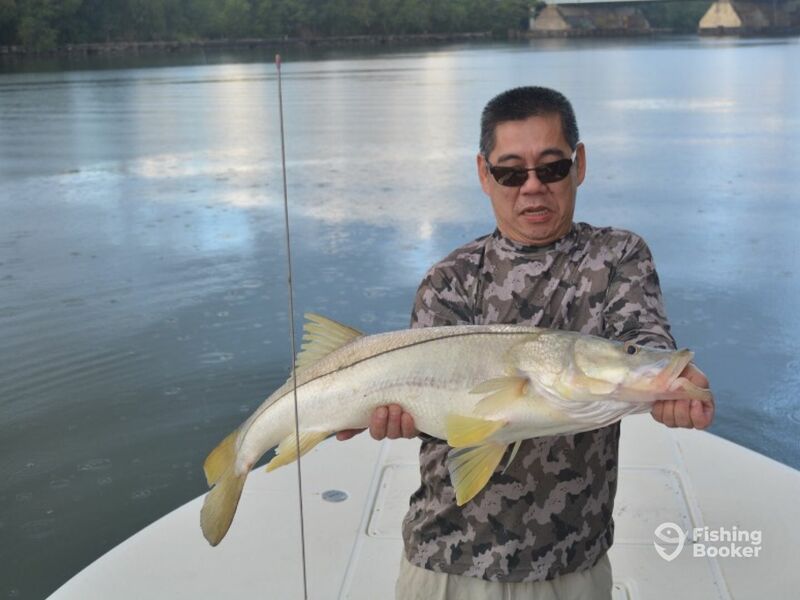 For those anglers with a busy morning schedule, this trip is your golden ticket. 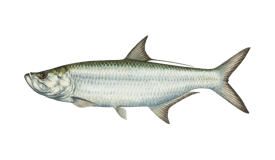 Go out and track down some feisty Tarpon, and perhaps other fish as well. 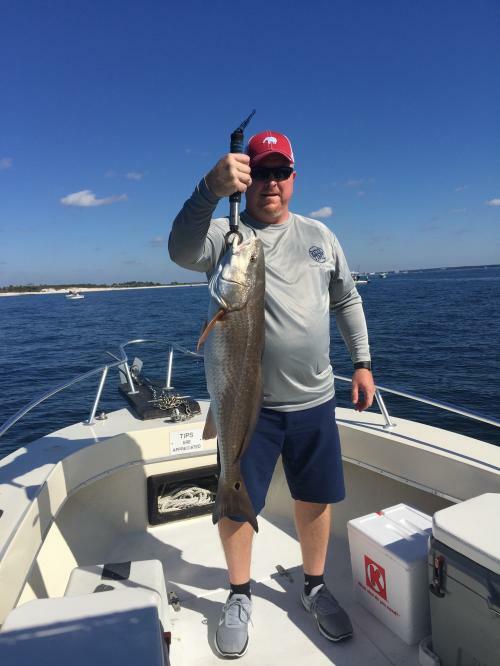 This fast-paced trip involves four hours of fishing some of the best inshore waters around. Your main target is the Silver King, but it's not the only one out there. Shorter trips are a great option if you'd like to get a few valuable extra hours of sleep. 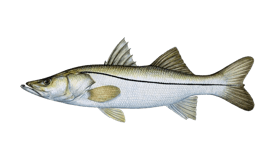 You'll be fishing the local waters for Tarpon, but you're likely to see the likes of Snook, Jacks, and others as well. Bay Craft (Flats boat) построена в 2014, обновлена в 2017. Мотор – 115HP 2015 Mercury 4-stroke мотор, максимальная крейсерная скорость – 38 узлов. Трансфер из отелей или пристаней в Сан-Хуан доступен и включен в стоимость. From the start Captain Clery communicated with me clearly on where to meet. 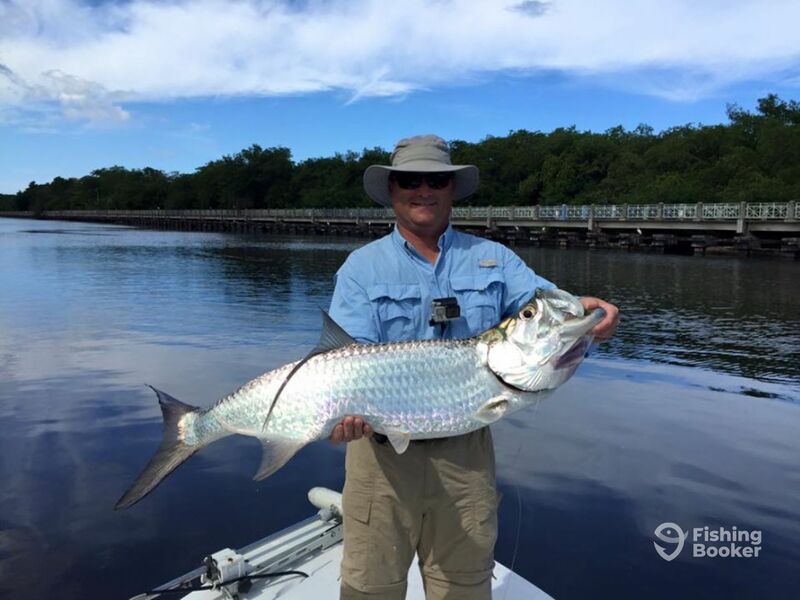 We started off in an area where we saw dozens of tarpon rising. I really wanted to catch one on a fly rod. 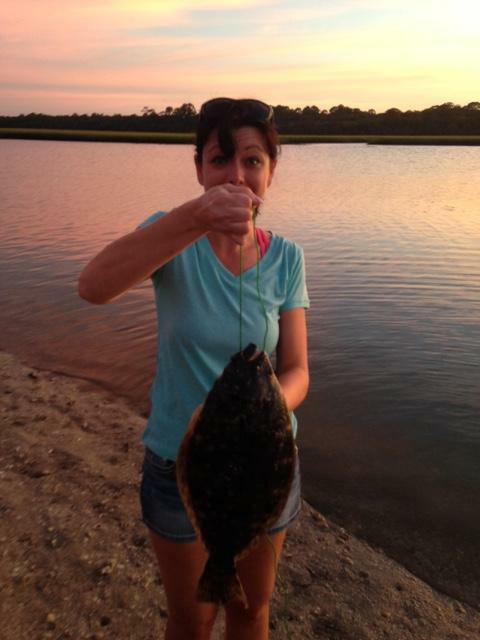 The first fish we caught was on live bait. He wanted me experience how this fish respond when hooked. 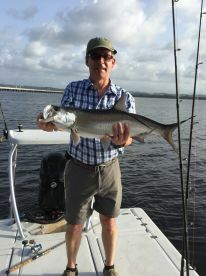 Shortly after i was able to land two more tarpon with the fly rod. He was experienced and made the trip enjoyable and educational. I would recommend booking a trip with him. I had a great time even though we did not catch any fish during the trip. Capt. 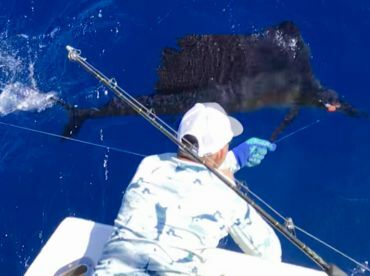 Felix tried different locations but they just were not biting on our boat or those around us. After our initial charter earlier in the week we decided to do another charter after having a fantastic time with Felix, but this time we decided to do it at night. What a great idea! The night charter was even more fun than the day charter. The water was calm, no wind, and we didn’t have to worry about sun burn. The night started slow but we ended with a bang! 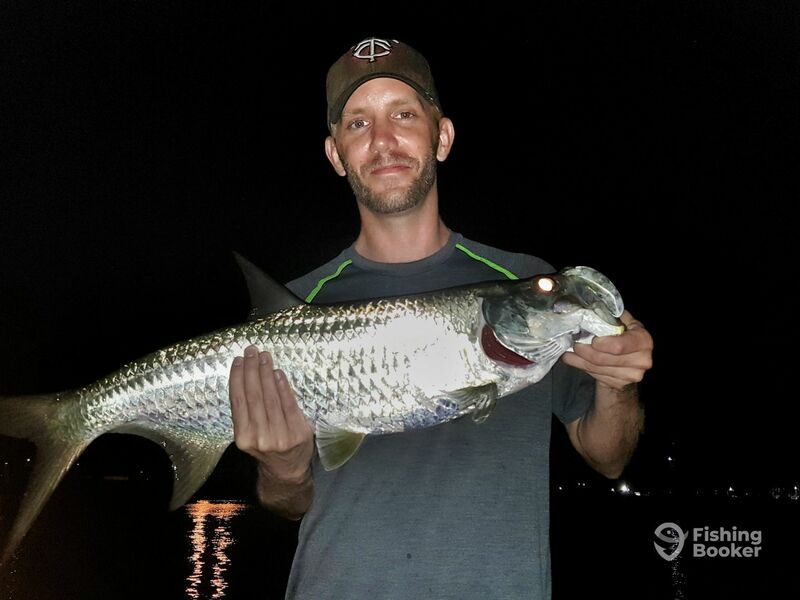 Caught a couple Tarpon within minutes of each other right at the end. 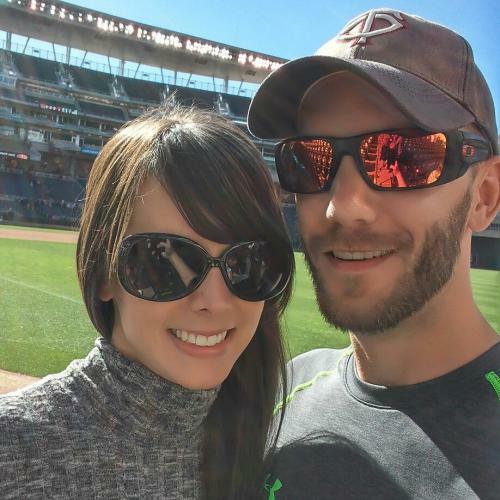 Felix (and his girlfriend!) were great hosts to an awesome night. We would definitely book again and again, but unfortunately our vacation in Puerto Rico ended and we had to go back to chilly Minnesota. 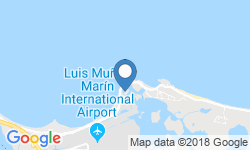 We will definitely book with Felix again when we visit Puerto Rico next time! This trip exceeded my expectations! Capt Clery was prompt, friendly, informative, and treated me like I was an old fishing buddy. We had a great time - and we caught fish! Seven tarpon and one barracuda in the boat. Also, three other hookups that released the hook in a jump. 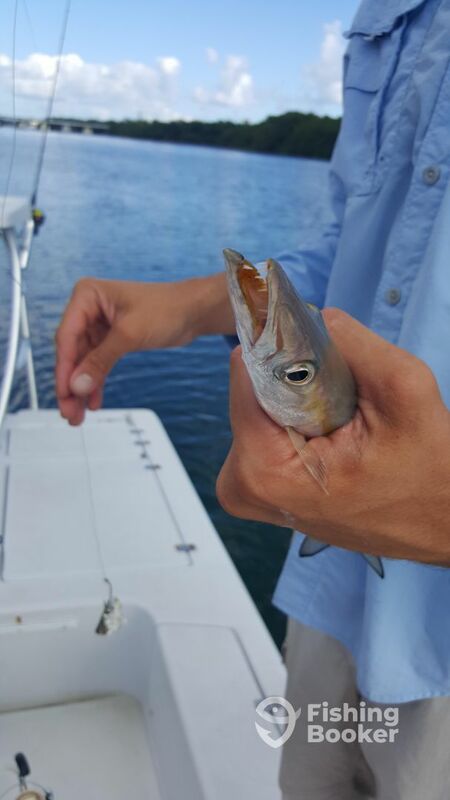 It was a lot of excitement for my first tarpon trip. Overall, a great afternoon of sharing stories and catching fish! This trip exceeded my expectations! 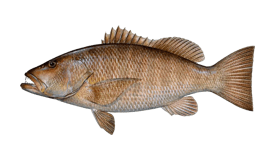 Capt Clery was prompt, friendly, informative, and treated me like I was an old fishing buddy. We had a great time - and we caught fish! 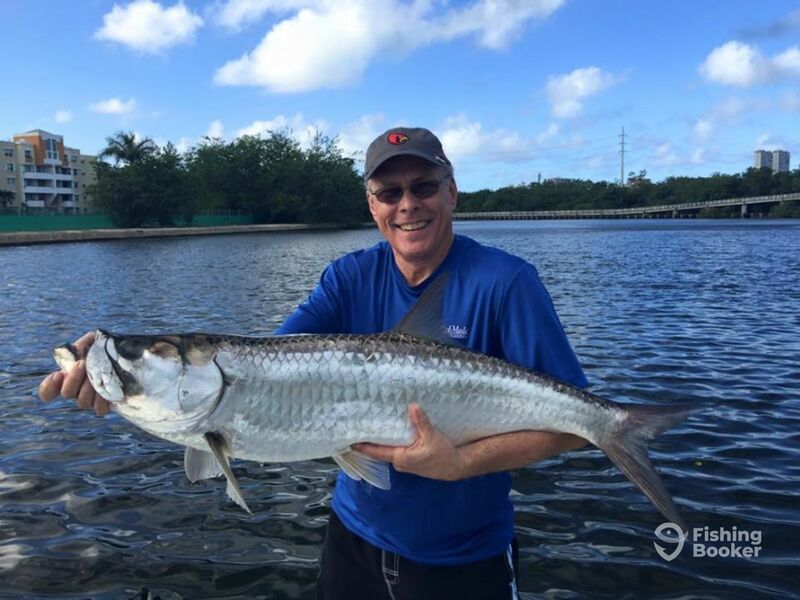 Seven tarpon and one barracuda in the boat. Also, three other hookups that released the hook in a jump. 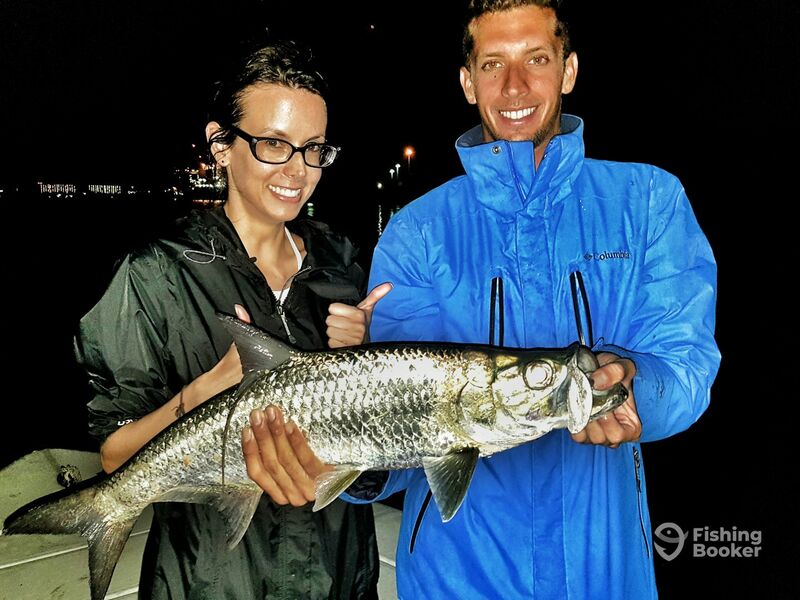 It was a lot of excitement for my first tarpon trip. Overall, a great afternoon of sharing stories and catching fish! We had a great afternoon on the water with Captain Felix! 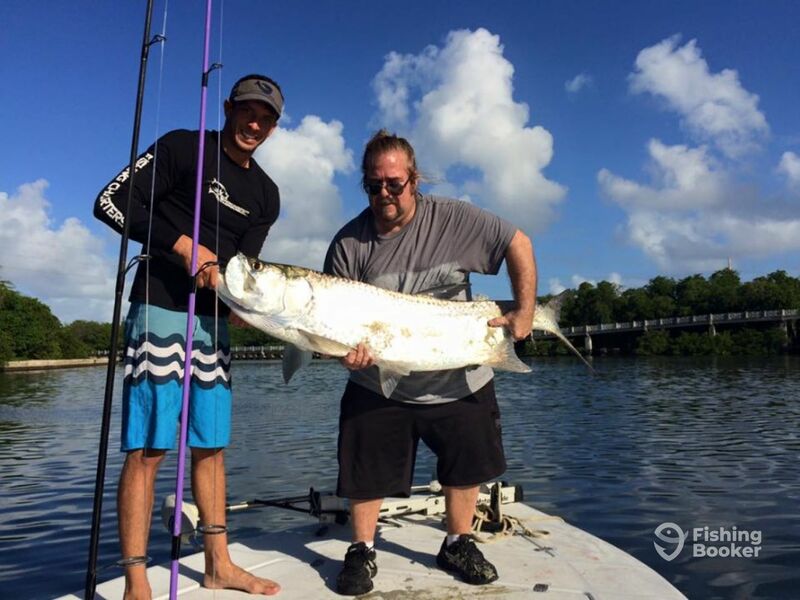 It was a beautiful day and my husband and I both caught Tarpon! 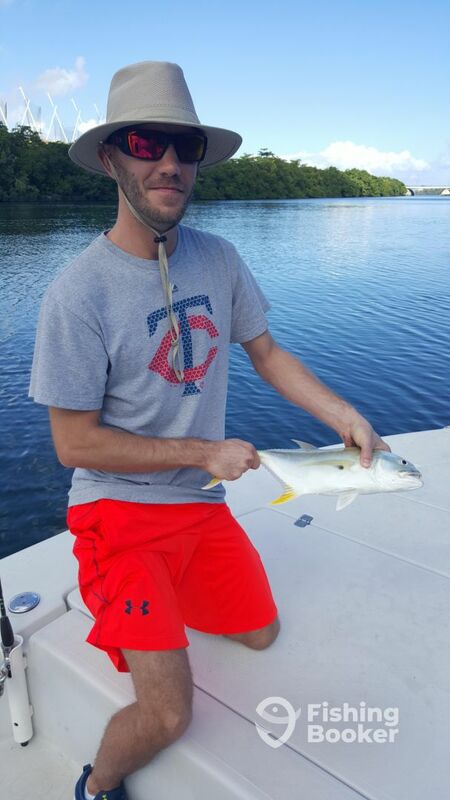 We also caught a Barracuda and a Snook! 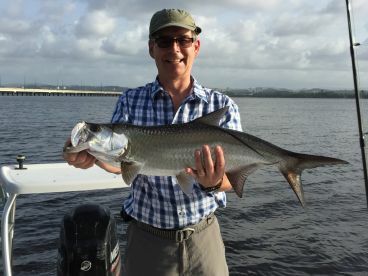 My husband hooked a 60+ pound Tarpon, but he bit the hook in half! Those fish are crafty! 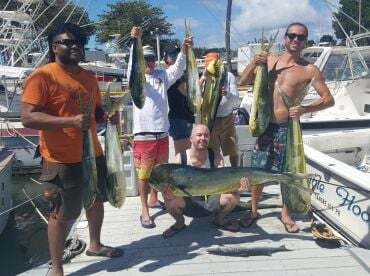 It really was a fun trip and we would recommend it to anyone wanting to do a little fishing while in PR.